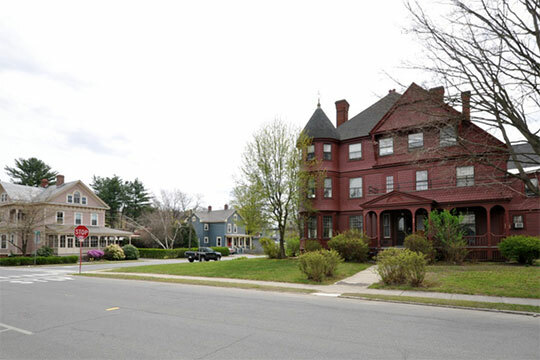 Photo: Period houses in the East Main-High Street Historic District, Greenfield, MA. The Historic District was listed on the National Register of Historic Places in 1989. Photographed by User:Magicpiano (own work), 2012, [cc-by-3.0 (creativecommons.org/licenses/by/3.0)], via Wikimedia Commons, accessed September, 2013. Franklin County remains as strictly a geographical and historical entity. In 1997 the county voted itself out of existence and all functions formerly performed by the county were assumed by various state agencies.